This week we are having fun with pumpkins! Earlier this week we shared a pumpkin sun catcher craft and pumpkin tic-tac-toe game. 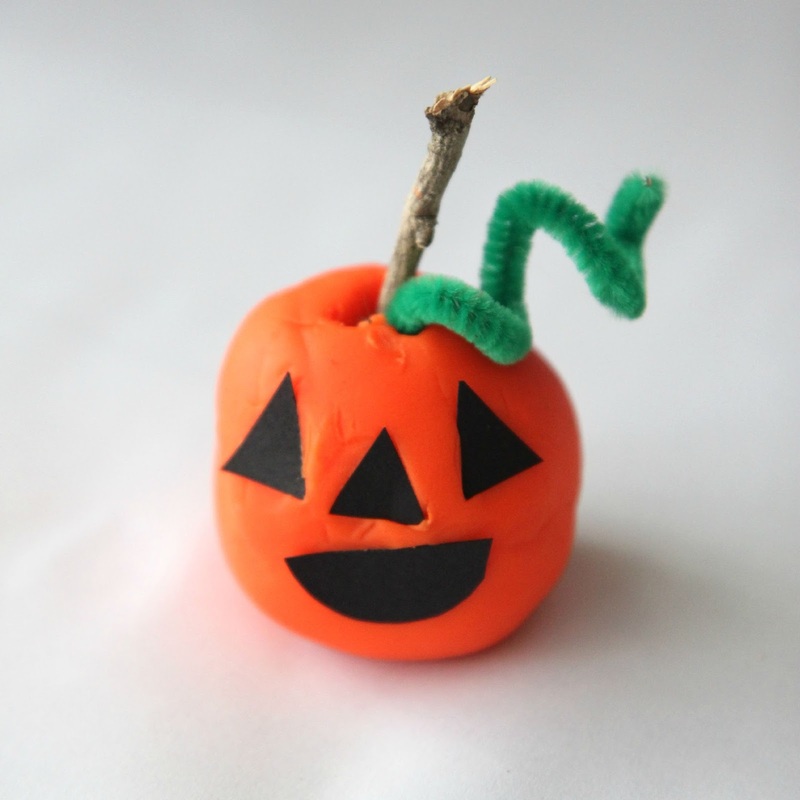 Today we are sharing a fun pumpkin themed playdough activity. Playdough is a material that is used basically every day at our house. We are always looking for new ways to build with it and explore it. One fun way to build with playdough is to play our Roll a Pumpkin dice game. 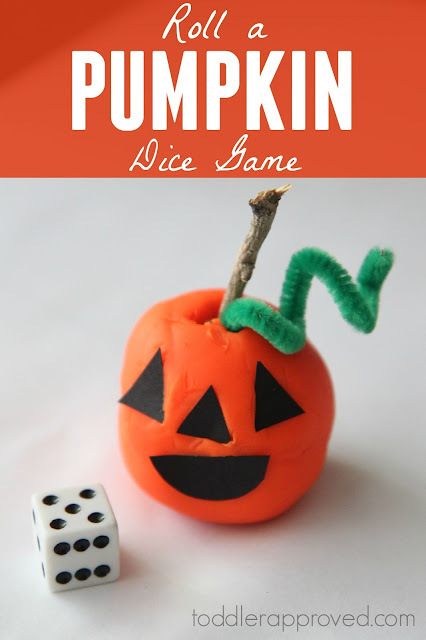 The purpose of this activity is to add a different piece to your playdough pumpkin each time you roll the dice! To win you must be the first to build your whole pumpkin (or jack-o-lantern). The build your pumpkin you need to add eyes, a stem, a mouth, a nose, and even a pipe cleaner vine! Start by rolling your orange playdough into a big ball so that each player has a playdough ball to start with! Next, take turns rolling the die. Use the Build a Pumpkin game card to know what piece to add to your pumpkin after you roll the die. 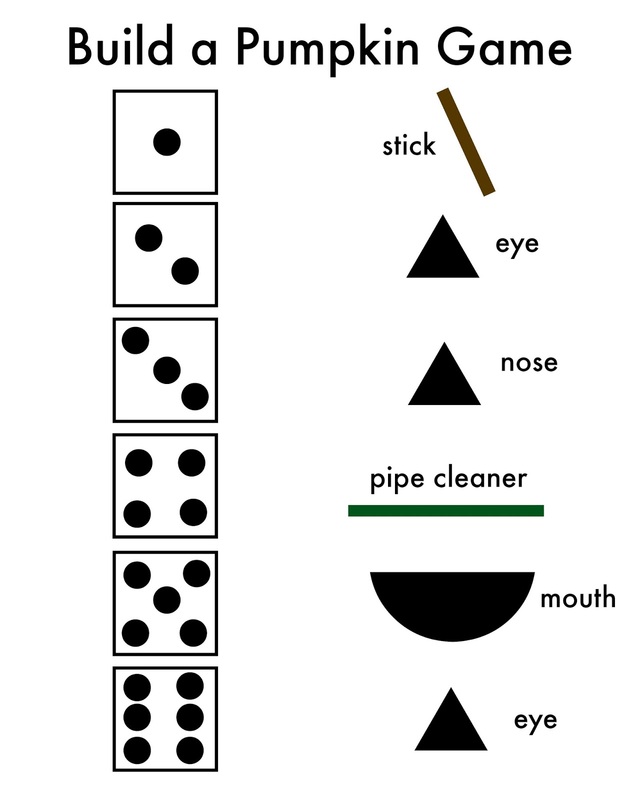 For example, if you roll a one you add the stick (stem) to the top. The player that builds their pumpkin first, WINS! Download our Build a Pumpkin Dic Game Card HERE. This game is perfect for preschoolers on up who are learning to count and are starting to understand numbers! 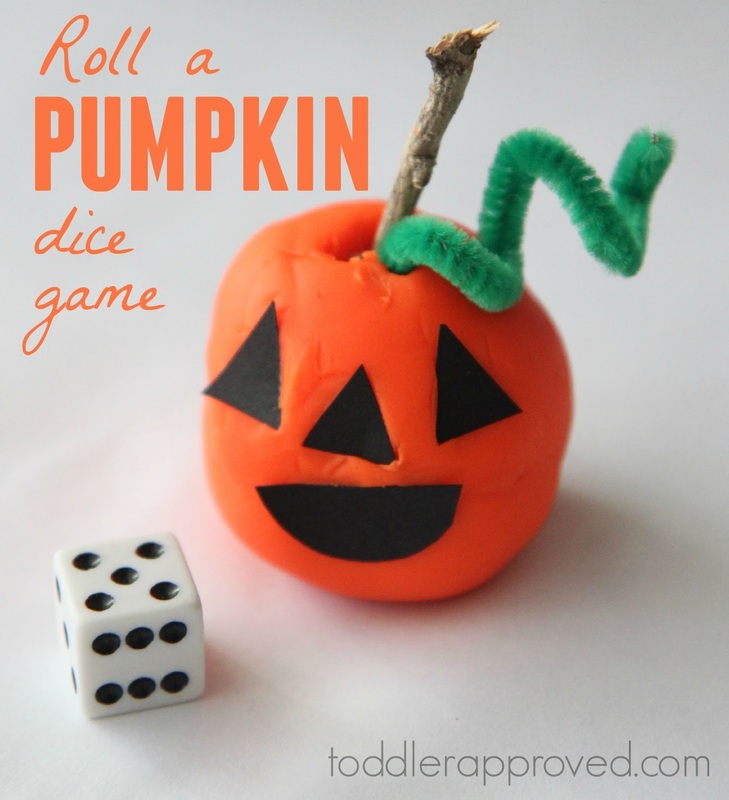 If your toddler wants to join in, have them help stick the items on the pumpkin based on the number that you roll. 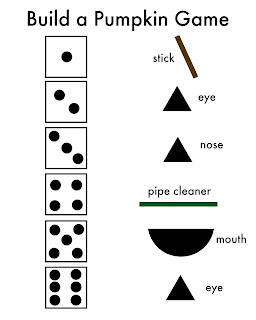 Some toddlers will even be able to match the top of the die with the picture on the game card. Some won't be ready for that yet.